We work very closely with ‘Into the Wild’ Forest School and are fortunate enough to be able to offer Forest School experiences to all of our pre-school age children. Forest school gives children hands-on experiences in the outdoors to build confidence, resilience and self-esteem as well as providing opportunities for children to learn new skills and to work collaboratively. 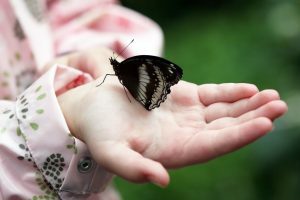 Spending time outdoors also gives children a greater understanding of nature, the wider world and their place within it. Using our ‘outside classroom’ provides us with limitless opportunities and a calm and peaceful space in which the children can grow at their own pace. Over the course of the year, all of our pre-school age children have the opportunity to visit the Forest School. We believe that the experience is most effective when there are high ratios of adults to children and group sizes are kept small so that we can respond to the needs and interests of the individuals. The groups are systematically rotated to ensure everybody has a chance to take part at least once during the year. 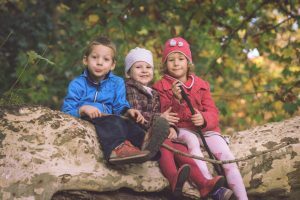 By encouraging our children to experience the outdoors and take part in woodland-based activities we hope to see them gain confidence, learn new skills and improve their general health and wellbeing in a fun and age appropriate way. 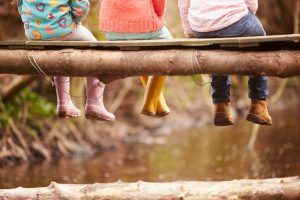 We have outdoor spaces at Brinsbury and Chichester and of course, once they are feeling positive about outdoor activities we hope children will be inspired to explore their local area.